There’s a lot of lat minute news from San Diego Comic Con which didn’t make it into my run down last week, but first there was a major event Saturday night. 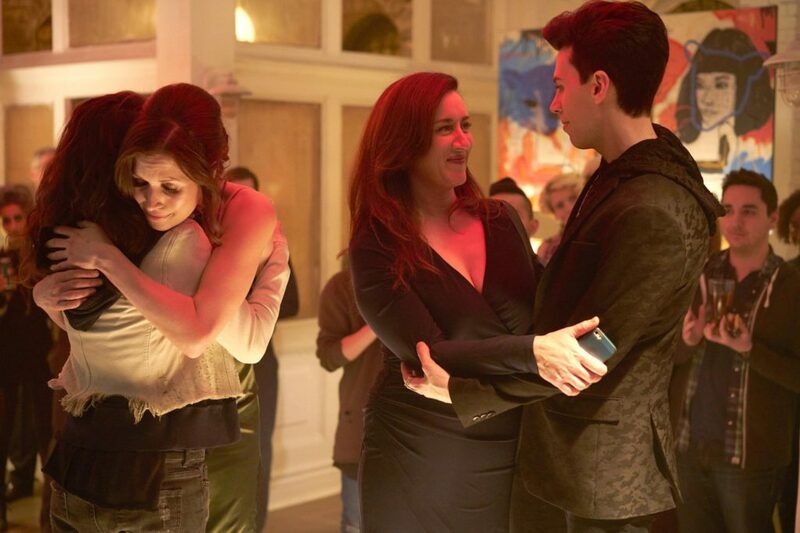 With only two episodes left after last night’s episode, Guillotines Decide, Orphan Black is rapidly moving towards a conclusion for its mythology, and is free to kill of characters. (Major spoilers ahead.) There have already been deaths, such as M.K. and Susan Duncan, but this really accelerated last might. First Gracie was shot by people from Neolution after trying to protect Helena. Last week I noted a change for the better with Rachel. Ferdinand, however, came to save her but did not realize her change in priorities, and almost got killed when Rachel betrayed him as part of her plan to take down Neolution. Ferdinand survived the first threat and appeared like he was going to strangle Rachel, who should have been better prepared for the possibility of him surviving. This led to a showdown with Mrs. S. in which each got off a fatal shot at the other (sort of like what happened to one of the major characters in this season’s finale of Fargo). It is commonplace on television for major characters to not really be dead despite appearances but Maria Doyle Kennedy did confirm that he character was dead in an interview with TV Line. Despite the three deaths, the episode also managed to have the type of fun sequence which is often most enjoyable for the show–seeing the clones and major cast members living their lives and interacting Felix had his art show, introducing what looked like various versions of his sister to those unaware of them being a set of clones. At the end, however, Sarah did feel the disruption in the Force with the death of Mrs. S.
ENTERTAINMENT WEEKLY: How dare you go and depress all these people on a Saturday night. What’s wrong with you, for chrissakes? GRAEME MANSON: Because if you track the story and you track the story of Sarah and Mrs. S, we’re telling a generational story now. Ultimately, we’re telling that story about Sarah’s journey, and to step into those big shoes of her mother is really the strongest journey that Sarah can make. So, there was a drop in the writer’s room. There was one of those moments of deep breath when the idea came up because it’s our final season. Someone has to go, and this made sense. And the first phone calls that we made were to Tatiana and to Maria to talk about this, and everybody had the same reaction — that gut reaction that this was the gut punch the series needed. So why was this the time and place and way to do it and kill off Mrs. S? Of course, Mrs. S not the only character who died. You also killed off Ferdinand and Gracie, who have been big characters on this show. Are you guys like, the end is near, let’s just start offing everybody now? [Laughing] Well, it’s definitely ramping up, and it’s ramping up in real time with Helena’s pregnancy, so the crux of what’s coming is about new life, as well as the loss that we’ve just experienced. I just can’t wait for these final two episodes. It’s a great two-parter. What if Ferdinand had taken Rachel up on her offer to go off the grid? Would they be sipping Mai Tais somewhere right now? And looking ahead a little bit to that, what can you say about Helena? We see her taken — I’m guessing being taken to the island now. What can you say as far as that? End game. It’s coming from all ends. Now, the crux is all coming down to Helena’s babies. Rachel did the right thing and saved Kira, but now we’ve got Helena out there, and she’s about to have those valuable genetic children that everybody wants. So, the stage is set, my friend. Next week’s episode is really about getting back together, closing the circle with Rachel. Is Sarah going to murder Rachel? There’s a lot of stuff up in the air, and it all hinges on Sarah’s reaction to this event. So, it’s a great episode that ends in a huge, huge cliffhanger that’ll lead us into the finale. Who would have predicted during the first season that the end game would be about rescuing Helena? 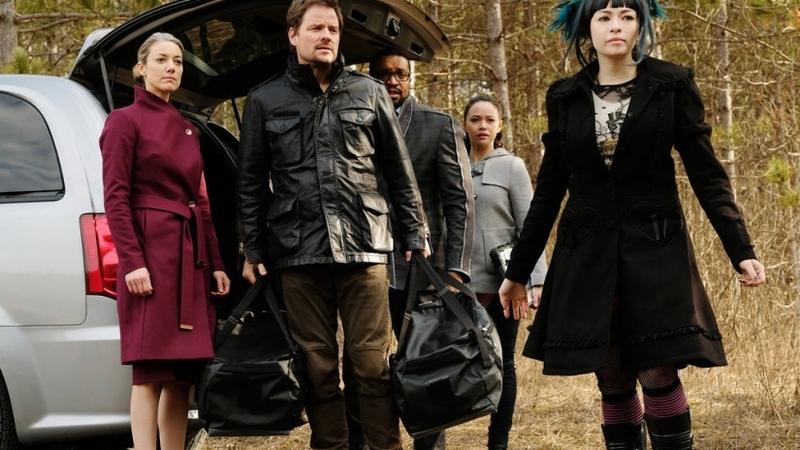 Also this weekend, Dark Matter continued to cycle through all the major genre troupes, this time with the time travel episode in which their actions led to the technology they depend upon. Plus they did the Stranger Things homage including kids, and there were video games. Speaking of Stranger Things, ScreenRant report that it was revealed at Comic Con that the upcoming second season will help set up the eventual end point for the series, whenever that may be. More news on Stranger Things last week. Emerson plays Morton Norton, an eccentric collector of classical music ephemera and curiosities who prefers the past to the present. He spends his days alone in a gothic mansion surrounded by classical music relics, dressed as a 16th century homicidal composer named Gesualdo (a composer he finds very underappreciated). When Rodrigo (Gael García Bernal) arrives, he will be pulled into Norton’s bizarre world, taking a tour of his collection. We are also talking about not only war, but something that is really bubbling up in the United States right now, isolationism. Our country has so many different philosophies. Do we extend a hand? Do we shut it down? And that is also two viewpoints that are being expressed. The Klingons are not necessarily the Russians anymore. The Klingons – I think we will see far more in, frankly, people in the United States and different factions in the United States. And that is not to say they are bad, but what we really wanted to do too is understand two differing points of view and really explore it. And I think when people look at the Klingons – I frankly love what they represent. Not in terms necessarily of all the messaging, but in terms of learning about them and learning why they are who they are and making sure they aren’t just the enemy. And then finding a way to come together. How do we bring everyone back together? What do we do? What does it take? It is a big challenge for us, but that is what season one is all about. 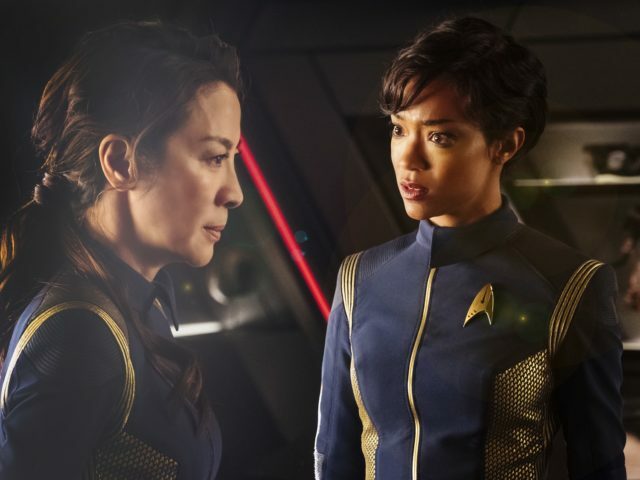 The biggest news revealed was that Sonequa Martin-Green revealed that her character, First Officer Michael Burnham, is actually the adoptive daughter of Spock’s parents Sarek and Amanda. That explains earlier reports that Sarek will be included on the show, and leaves open the possibility of a younger Spock. You have got a roomful of people with very different and very devoted relationships to Star Trek in that writers’ room. And that carries on a pretty proud tradition of Trek being written by fans. We also learned more about Bryan Fuller leaving the show, and his initial plans to make Discovery an anthology show. Hawley already revealed that the second season will spread across 10 episodes. 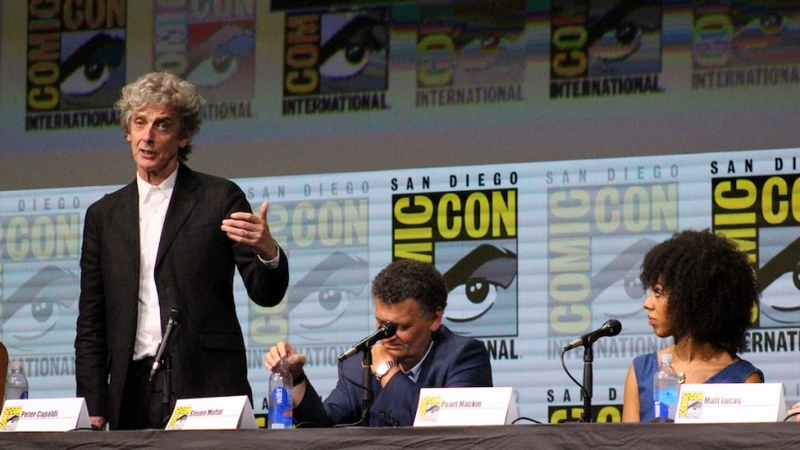 At the Comic-con, he revealed that he was not sure when the show will end but he confirms that it will come to an end when it has to. “I have a structure, I have a kind of endpoint in my mind, but I don’t know yet how many episodes or seasons that is. I never want to overstay the welcome and I never want the show to become predictable. There will be an ending, that we know,” he told Comicbook.com. Discussing the second season, David actor Dan Stevens told the website that the new season will most definitely explore David’s mind and things will become more complicated. “We haven’t even really scratched the surface of the number of characters or entities that are contained within Legion. The Shadow King was obviously one of them and a large part. But there’s a lot more going on and anyone who knows the comics knows the scope of the world in which it set. So yeah, there’s a lot more to dig out of his head,” he told. So will fans get to see Professor X aka Patrick Stewart in the upcoming episodes? According to Stevens, he surely will be a part of the show. Talking to ET Online, the actor revealed that the new season will talk about David’s dad. And according to Stevens, Stewart seems interested in reprising the role of Prof X in the show. “He seemed very unaware of the show, but I mentioned that he was my dad, and he seemed pleasantly surprised. I think we want to address that,” he said. “It’s normal when you learn you’re adopted to want to know who your real family is. He doesn’t yet know the identity, so I think it will be a process to get there. 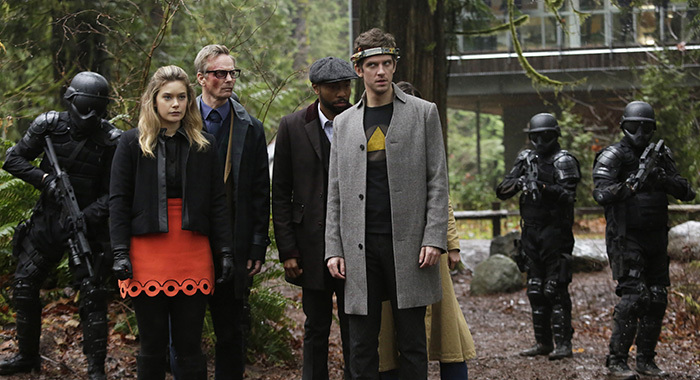 There’s quite a lot of explaining there, that your dad is Professor X,” Stevens added. While the mystery about Professor X remains to be seen in the new season, Hawley did confirm that Wonder Woman star Saïd Taghmaoui will be donning the role of Shadow King. “Theres going to be a lot of things that are going to happen that I can’t tell you. But what I can tell you is that Saïd Taghmaoui, who was recently on Wonder Woman, will be playing Amahl Farouk a.k.a. the Shadow King,” Hawley confirmed. “We’re not necessarily going to see Barry’s experience in the Speed Force. We’ll see kind of the effects that the Speed Force has had on Barry, and he’s been in there six months real-time,” Gustin started. 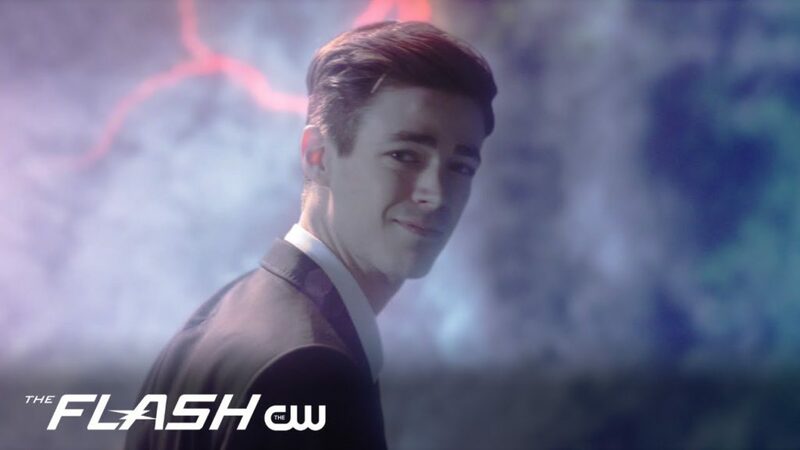 Fans won’t be too surprised to hear about the Speed Force’s effect on the Flash; After all, Barry was well-aware during the season three finale that his sacrifice wasn’t going to be an easy one. Being stuck in the Speed Force is damaging, and The Flash went so far as to prove that by trapping Wally West there for a spell. When Barry exits the Speed Force, he will not be the same man he was before he stepped foot into it, and Gustin said that truth makes his job a bit more exciting next year. “It’s almost like a fresh start for me as an actor,” the actor said, nodding to how different Barry will be in season four. The Flash movie will deal with Flashpoint, and there has been speculation that this will provide a way to do a reset for Batman from the Ben Affleck version. Season two ended with Quentin (Jason Ralph) and Julia (Stella Maeve) causing a bit of a problem for everyone. “Quentin and Julia kind of killed magic,” explained executive producer Sera Gamble. “It’s still called The Magicians, so we felt a certain responsibility to bring something cool and magical. It just comes from completely unexpected and different places in season three,” she continued. Interview with Olivia Taylor Dudley in the video above, discussing what happens with Alice now that she is human again. Jodie Whittaker already had a run in with the Daleks at the BAFTA awards ceremony in 2013. See the video above. Curiously the next Doctor showed that she recognized the Daleks, but they did not appear to recognize their most powerful enemy. While not at all genre, I can’t resist noting this additional bit of television news: Megyn Kelly’s show on NBC has been cancelled after just eight episodes due to poor ratings.